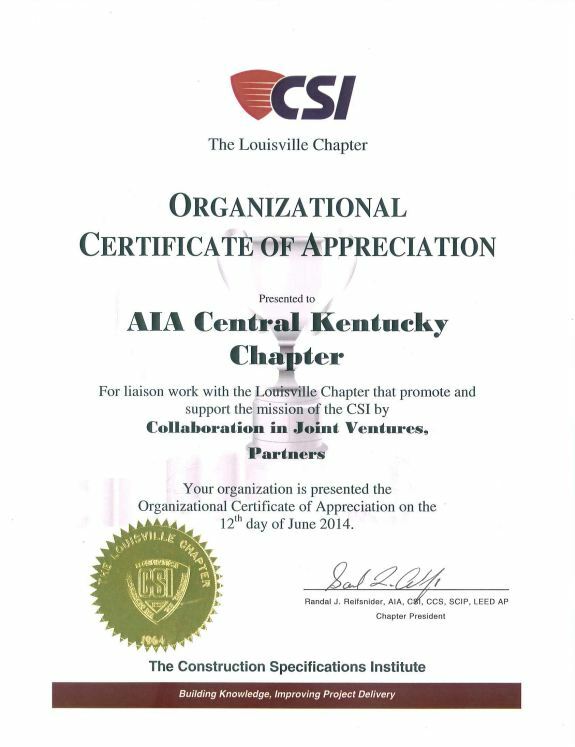 The AIA/CSI Trade Fair was a great success this year, in a new venue, Kentucky International Convention Center, over 300 visitors attended and visited over 110 exhibitors. WINNER: LINDA HUBBUCH, HUBBUCH & CO. WINNER: ED REVERS OF MICHELL TIMPERMAN RITZ. As Louisville continues the formation of its 25 Year Vision, there can be no doubt that the design community will participate in bringing our fair city into the twenty-first century. Let us take advantage of the moment, shake off the “been there, done that” attitude that so limits us, and think about and share what could be. Winners of the Louisville Children's Competition Announced. foreign nations-with submissions from France, Brazil and China in the majority. The Competition Project, Inc. in Louisville, Kentucky.